A new book aimed at improving mental wellbeing within the LGBTQ and other communities has been released. Meee In A Minute, a brand new book penned by Sid Madge, who’s dedicated his life to transforming the lives of those affected by mental heath issues, is promising to change the lives of readers. It comes after figures released by the global Human Rights Campaign last year revealed that 28 percent of LGBTQ+ youth — including 40 percent of transgender youth — said they felt depressed most or all of the time during the previous 30 days, compared to only 12 percent of non-LGBTQ+ youth. The same report highlighted that 60% of LGBTQ+ youth reported being so sad or homeless they stopped doing their usual activities. 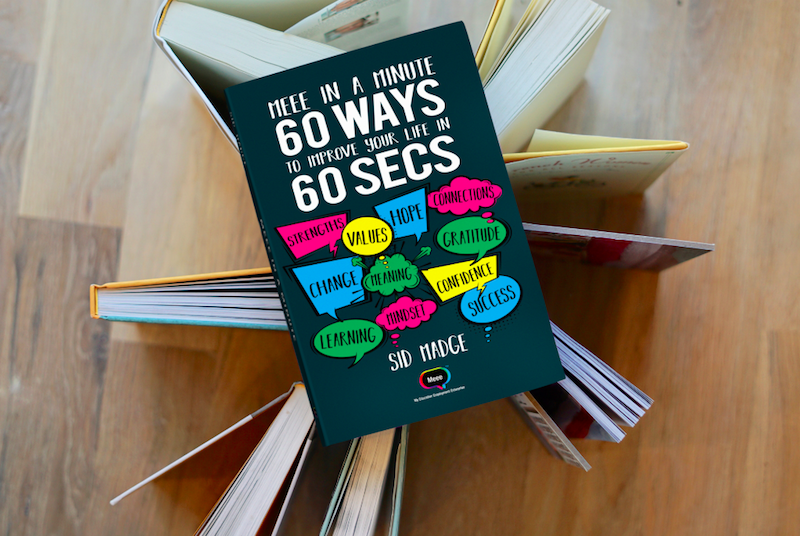 Sid Madge says the self-help book contains “60 ways to improve your life in 60 seconds” and can help those suffering low self esteem, anxiety and depression. It is a collection of life hacks, advice, insights, science, stories and short exercises that shifts the readers’ thinking into a positive life outlook, improves mental wellbeing and aims to help people become the best versions of themselves in the workplace and in everyday life. The book follows Madge’s experiences running the Meee Programme in schools, job centres, prisons and workplaces. The Meee initiative, tried and tested on thousands of people at organisations including the DWP, Kellogg’s and amongst inmates at the UK’s largest prison HMP Berwyn, encourages happiness and success by changing the way people think through a series of life-changing workshops. Madge says his first book and eBook can help people everywhere change their mindsets and achieve more. It comes after another study carried out by the Meee team highlighted that after completing the Meee Programme a massive 98% of those who took part found it to be a positive experience, with 40% people feeling better about themselves and 88% feeling differently about their future. And for each book sold, £1 will be donated to mental health charity Heads Together. “I’ve worked with people in some of the most challenging of circumstances, including those in LGBTQ+ community and have helped them to change their lives though the Meee Programme. Thema und fand ddie meisten Menschen wird gehen zusammen mit Ihren Ansichten über diee Website. extremely fantastic. I actually like what you have btained here, certainly like what you’re saying and the best way through which you are saying it.